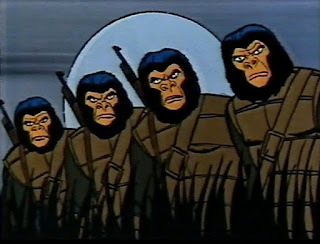 Hope everyone is have a great Simian Saturday. No gaming on my end this weekend. 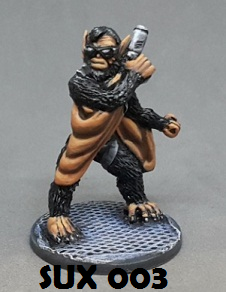 However, Mark Craddock was nice enough to make me aware of some fun Ape templates for the Mini-Six RPG over on the The Gnomish Embassy Blog! 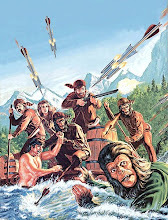 Also if you are a fan of Far Trek, you might want to join the Far Trek G+ group for some fun Siman (PotA-style) races for your Far Trek games! 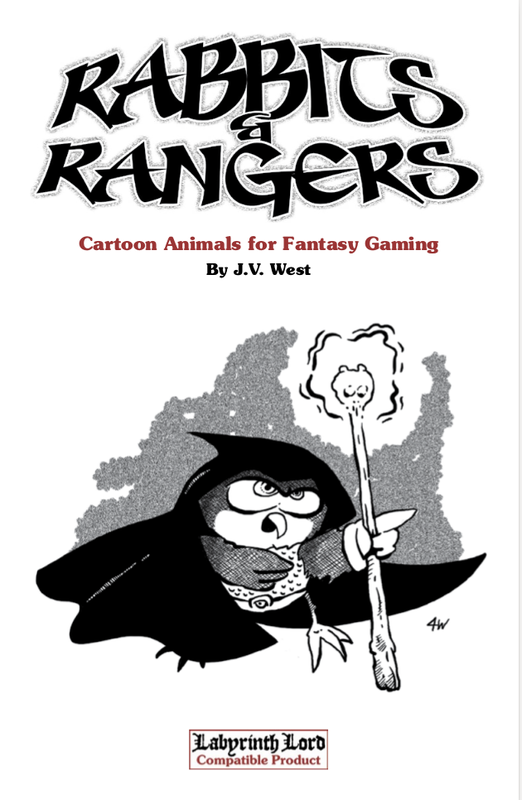 I just picked up (well downloaded actually) the Rabbits & Rangers supplement for the Labyrinth Lord RPG. Just did an initial scan of it and I love it! 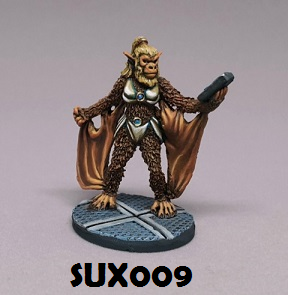 It includes 50 cartoon animal races to use as player races in your Labyrinth Lord games. Oh don't let the "Cartoon" part throw you off, while the supplement is set up to allow you to play Wascally Wabbits, you can use the animal races straight. You can get it HERE. I hope a print version is planned! 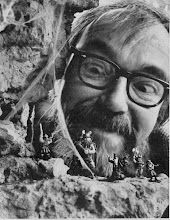 I've long been a fan of the Labyrinth Lord RPG and this is an awesome and fun resource for it, whether you want to play it straight or cartoon-style. 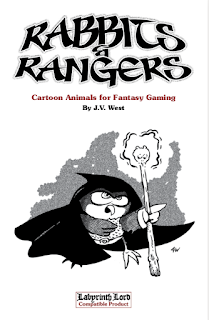 Here is the blurb about the product," Rabbits & Rangers is a supplement written for Labyrinth Lord describing 50 cartoon animal races and various rules tweaks that let you get a slightly more cartoony vibe out of your game. Fully illustrated, this book also contains new spells, monsters, and magic items. I mean, who couldn't use a Ring of Ahkme that will let you mail order any device required to achieve your genius goals?" 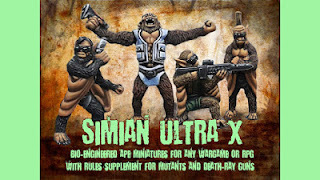 Simian Saturday Minis & More! 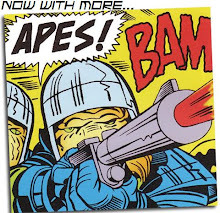 My internet was down last weekend, so I'm making up for the missed post by making this week's post more Simian Action Packed!! 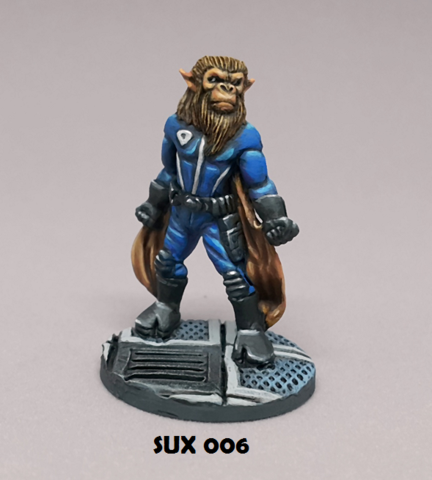 I wanted to share that Simian Ultra X the range of bio engineered space apes and other mutants and creatures by Ganesha Games is now released at Alternative Armies! I going to definitely have to pick up some of these! In other Simian Saturday News! 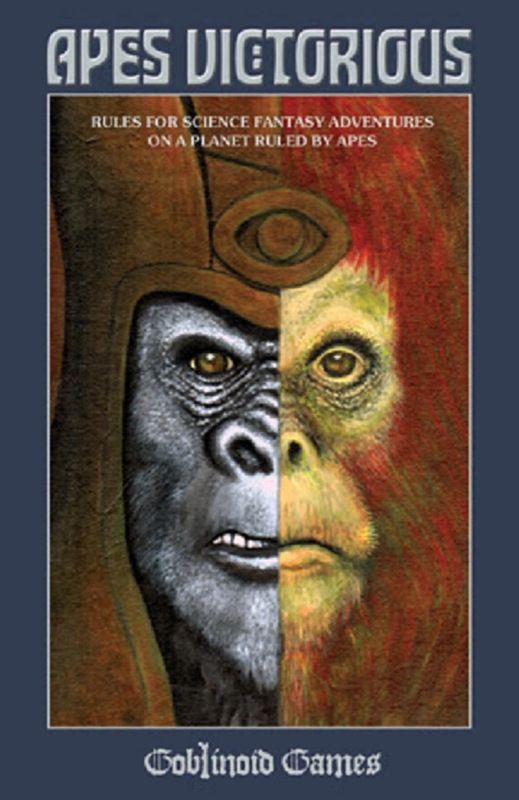 I have heard that work continues to progress on the OSR RPG Apes Victorious! , no release date yet, but the project is still a go! In other Simian RPG news, the talented Trey Causey has worked up a ton of Simian related Awesomeness for 5E! 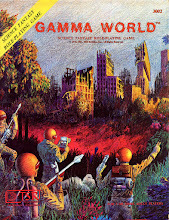 Classic PotA's for 5E WOW!! I can't wait to use these in my games! GREAT JOB!! 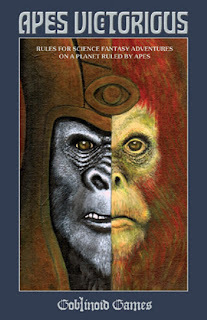 I hope everyone has a great Simian Saturday, try to stay cool, it is already a hot one in the Southern Rad Zone today.